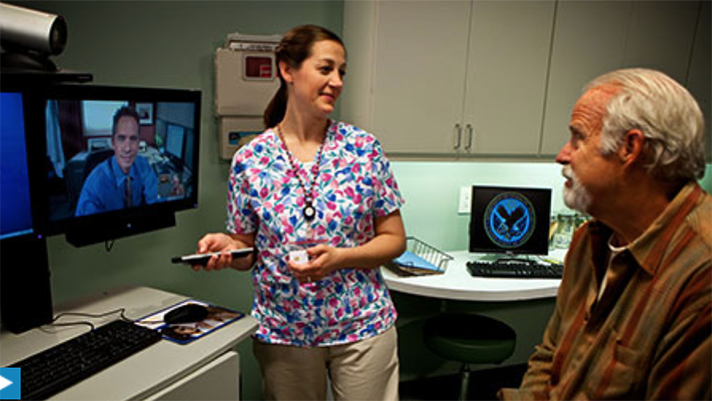 The U.S. Department of Veterans Affairs finalized its federal rule to allow providers to deliver patient care across state lines and outside of a VA facility using telemedicine. Former VA Secretary David Shulkin, MD, and President Donald Trump first began to push for telemedicine expansion in August through the Anywhere-to-Anywhere initiative. While supported by many, the initiative lacked legislative authority. Congress passed several bills in support of the measure since the initial announcement, supporting a nationwide telehealth program. This final rule gives the VA the needed authority to override state restrictions that would inhibit providers from treating patients outside of the agency or their region. It “clarifies that VA healthcare providers may exercise their authority to provide healthcare through the use of telehealth, notwithstanding any State laws, rules, licensure, registration or certification requirements to the contrary,” according to the notice. In doing so, the growth of telemedicine usage within the agency would be delayed. And officials are banking on this tool to combat wait times and improve care access to patients. The agency was plagued with scandal in 2014 due to egregious wait times and staff incorrectly recording those numbers. Officials said the rule will also support veterans in rural areas who would have to travel a long distance or cross state lines to see a doctor. The rule will expand access to critical care, like mental health, to provide faster service through the platform. The final rule goes into effect on June 11.